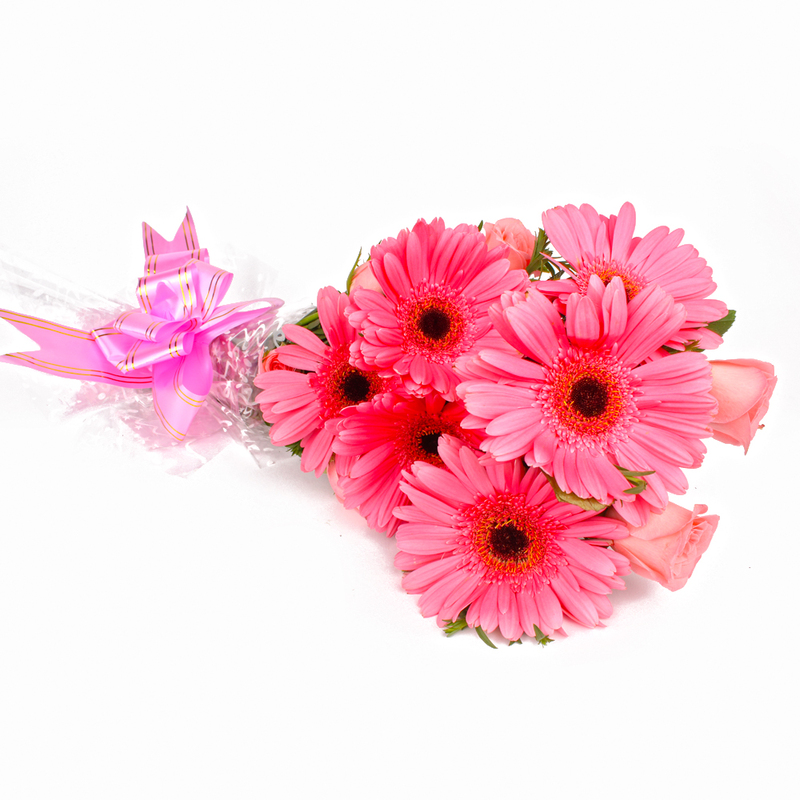 Product Consist : 12 Pink Flowers like Pink Gerberas and Pink Roses in Cellophane Wrapping. 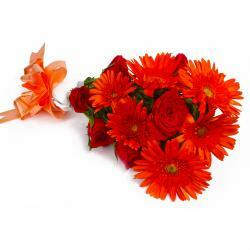 If you are thinking of a nice gift idea for a dear friend, then look no further. 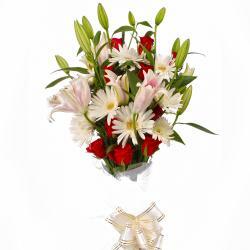 This bouquet consists of dozen Stem of Pink Gerberas and Pink Roses. 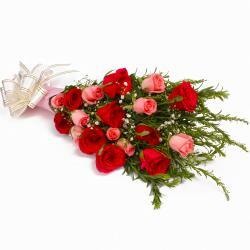 They come with a matching ribbon bow that ties the bunch together. 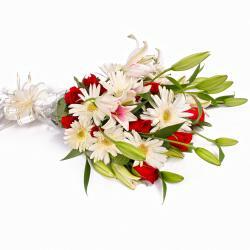 This dainty looking bouquet is an apt gift for Birthday, Anniversary, Missing You, Dusshera, Makar Sankranti, Boss Day, Congratulatory wishes and other events. This will definitely strengthen the bond of friendship even further. 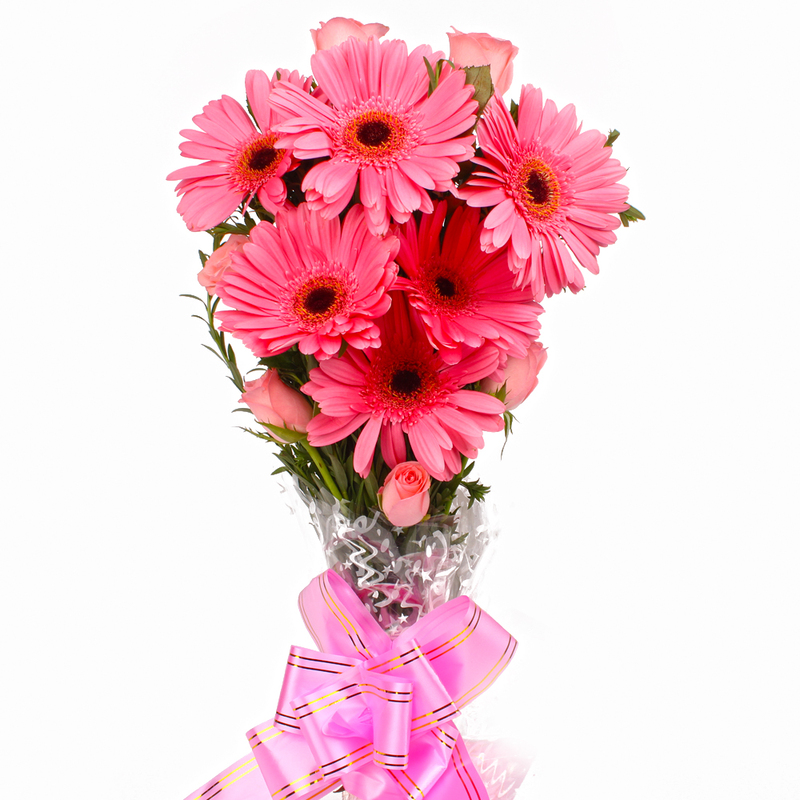 Product contains : Twelve Pink Flowers like Pink Gerberas and Pink Roses in Cellophane Wrapping.